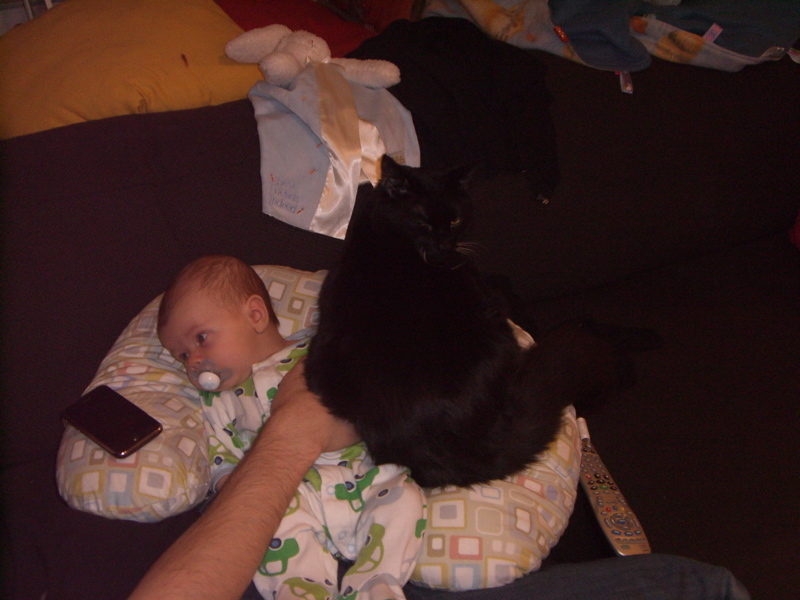 The cat’s gotten a bit more… brazen with both the baby and the baby gear. 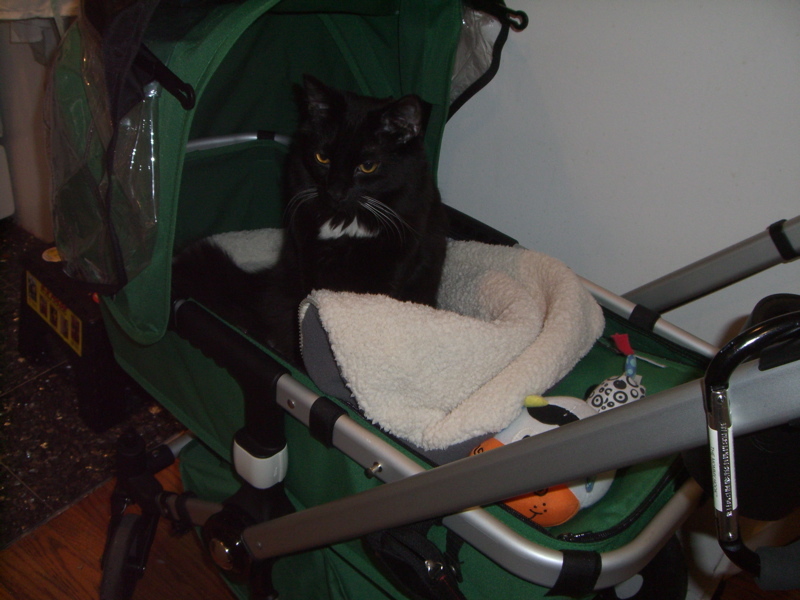 He’s moved from the storage (“cat holder”) section of the stroller, to sleeping in the main cabin. Baby already on the boppy? No problem. Fuzz will share. Is that Wasabi Pod Bouncer for the baby? 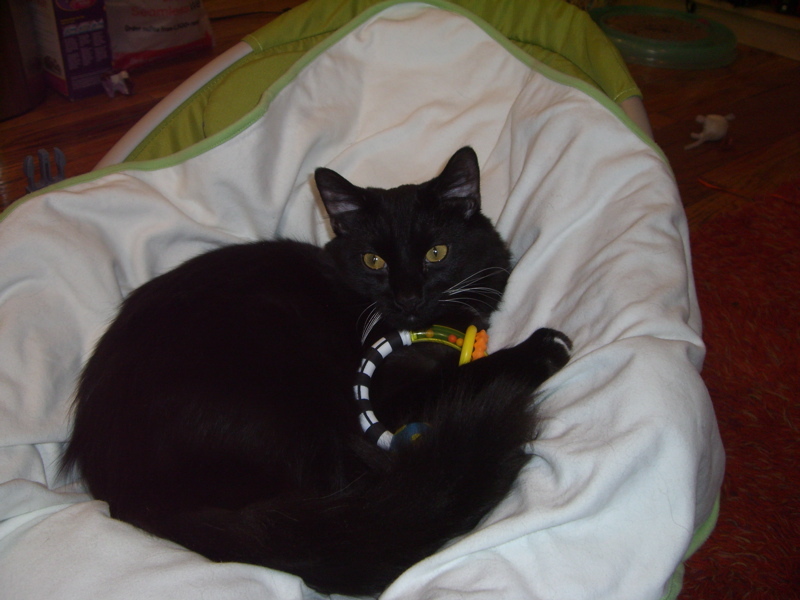 No, you must be mistaken, that’s the CAT bouncer chair. 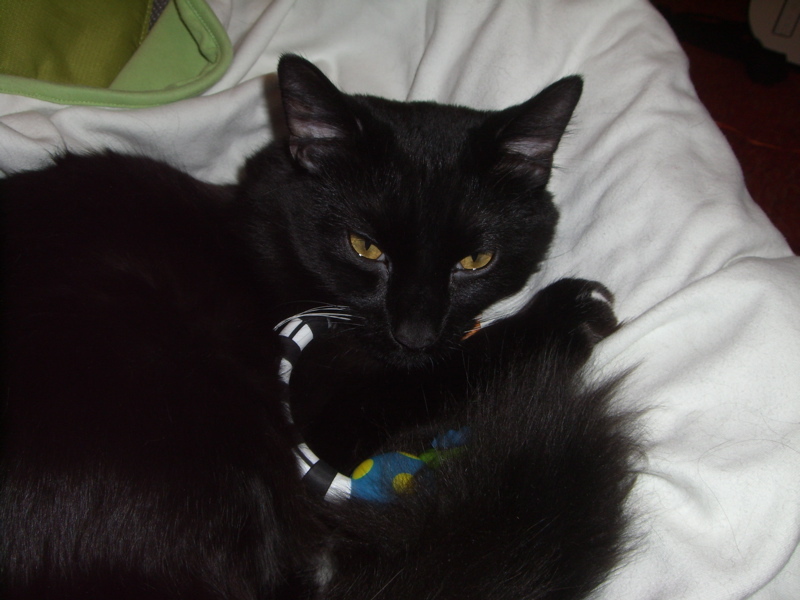 And that’s not a rattle – it’s clearly a cat toy. At least he’s not jumping in the crib to steal baby toys from the sleeping baby (yet).